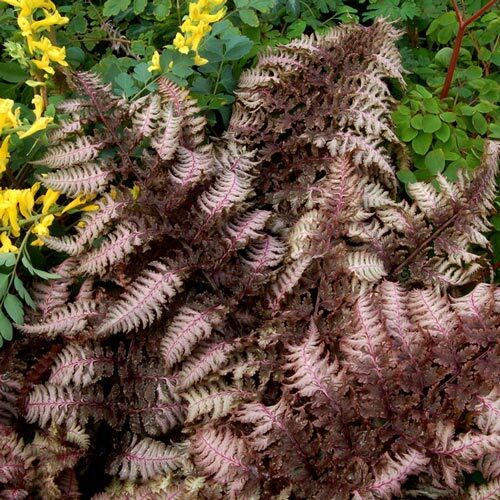 A spectacular fern with ever-changing hues of burgundy and silver. 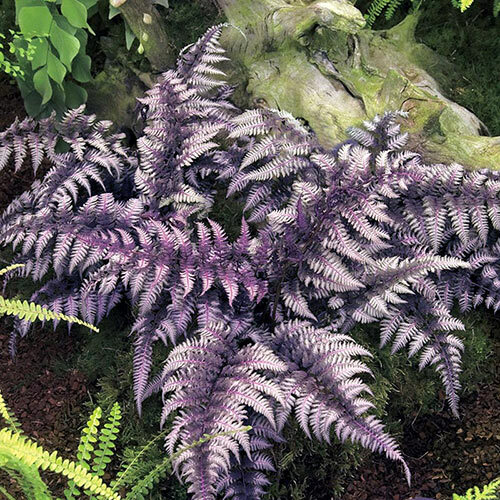 Fronds first emerge in spring as a dazzling rich purple with silver accents.The foliage lightens in summer to gleaming pink-tinted silvery grey with ruby red veins; the pink overtones are a bit stronger with more light. A modest 1' tall and wide, ideal for the front of a shady border or as a ground cover. It stands up to extreme weather well, too. Zones 5-8. Ships in 3" pot. Athyrium niponicum var. pictum 'Burgundy Lace' PP15072. Partial to Full Shade. Deer tend to avoid. 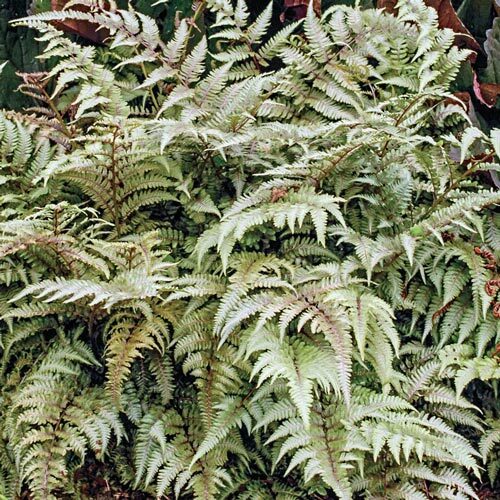 Unique CharactersticsLow growing, clump forming fern with burgundy, pink and silver tones blended beautifully as if a skilled artist created each leaflet. 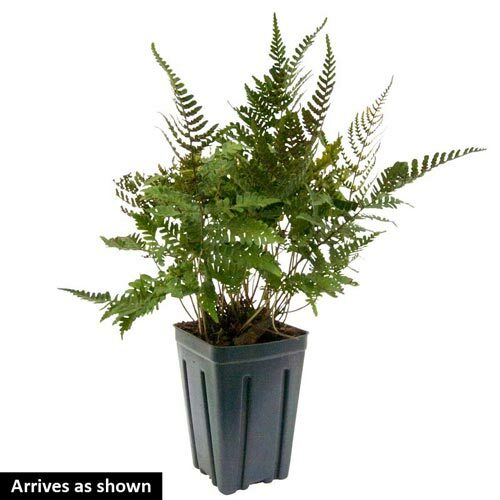 Thrives in moist soil rich in organic matter but will tolerate clay soils better than other ferns. Great shade addition next to chartreuse green plants.